Enjoy a satisfying meal at Les Quais serving guests of Mauricia Beachcomber Resort & Spa. Quench your thirst with your favorite drink at the bar/lounge. Breakfast is available for a fee. When you choose Royal Palm Beachcomber Luxury for your holiday in Mauritius, you can expect perfection from start to finish; it is undeniably the finest hotel in Mauritius. Located on the sheltered north-west coast, stretching along a pure white sandy beach, Royal Palm Beachcomber is a tranquil tropical haven with an uncompromising commitment to excellence. Royal Palm Beachcomber’s recent upgrade involved refurbishing the common areas and suites to create the ultimate luxury experience. All was done however to preserve the hotel’s unique atmosphere, natural charm and timeless elegance. Bathed in soft lighting, the rooms combine delicate and bold hues, fine fabrics, finishes in wood and marble and custom-made wooden furniture crafted by local artisans. With Grand Baie beach front only 500 mts away and the main attractions and venues of this famous coastal village within easy walking distance, Grand Baie suites offers perfect convenience for a costal holiday. Set in a beautifully landscaped garden, this luxury holiday complex of 25 suites offers the perfect fun and sun holiday with a magnificent swimming pool to laze around. 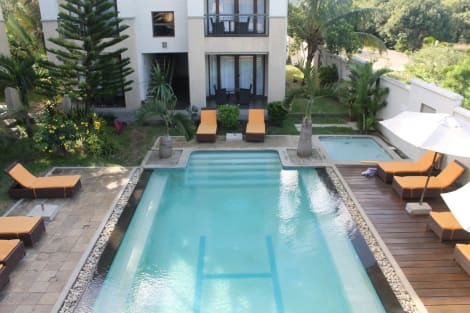 Each unit has a private terrace or balcony overlooking a magnificent swimming pool. Centrally located, Grand Baie suites is just a few minutes from all the major attractions including shopping arcade, bars, a host of restaurants, night clubs and casino. 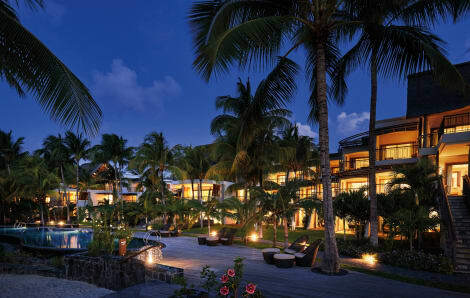 A stay at this resort is an outstanding way to experience the sites and sounds of Grand Baie in luxury accommodation. Make yourself at home in one of the 11 air-conditioned rooms featuring kitchens with full-sized refrigerators/freezers and ovens. Rooms have private furnished patios. Complimentary wireless Internet access keeps you connected, and cable programming is available for your entertainment. Conveniences include coffee/tea makers, and housekeeping is provided daily. Make yourself at home in one of the 19 air-conditioned rooms featuring flat-screen televisions. Satellite television is provided for your entertainment. Bathrooms with showers are provided. Conveniences include safes and coffee/tea makers, and housekeeping is provided daily. 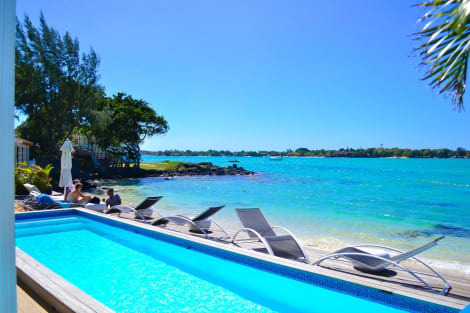 Located in Grand Bay, Baystone Boutique Hotel & Spa is a 1-minute drive from Mont Choisy Beach and 5 minutes from Mont Choisy Le Golf. This 5-star hotel is 2.2 mi (3.5 km) from La Croisette and 2.2 mi (3.6 km) from Trou aux Biches Beach. When you stay at 20 Degrés Sud in Grand Bay, you'll be on the beach, a 5-minute drive from Mont Choisy Beach and 9 minutes from Trou aux Biches Beach. This 5-star hotel is 2.4 mi (3.9 km) from Grand Bay Beach and 3.2 mi (5.2 km) from Merville Beach. When you stay at Wanna Studio Apartments in Grand Bay, you'll be near the beach, a 3-minute drive from Mont Choisy Beach and 7 minutes from Trou aux Biches Beach. This apartment is 2.3 mi (3.7 km) from Grand Bay Beach and 3.1 mi (5 km) from Merville Beach. When you stay at VillaOSoleil Apartments in Grand Bay, you'll be connected to a shopping center, a 4-minute drive from Grand Bay Beach and 7 minutes from Merville Beach. 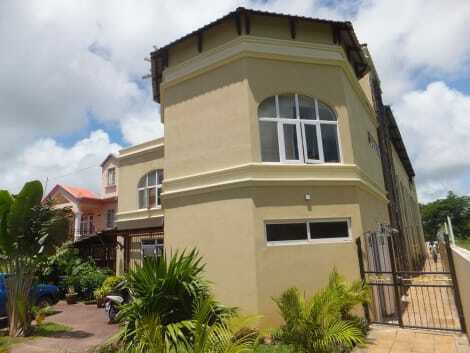 This apartment is 2.3 mi (3.7 km) from Pereybere Beach and 2.5 mi (4 km) from Mont Choisy Beach. This is a delightful little hotel gallery situated in Grand Baie, in the heart of the Mauritian tourist region. 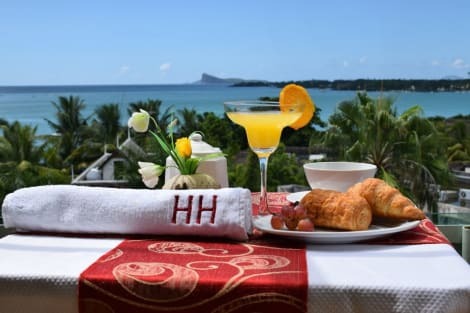 On the other side of the bay and only 50 metres away from the sea, this hotel is the perfect address for those who want to experience Mauritius differently. It offers 12 guestrooms equipped with a private bathroom, individually regulated air conditioning units and a TV. From their private balcony or terrace guests can enjoy lovely views of the lush green grounds surrounding the hotel. Internet access is provided in each guestroom and is also available throughout the premises. lastminute.com has a fantastic range of hotels in Grand Baie, with everything from cheap hotels to luxurious five star accommodation available. We like to live up to our last minute name so remember you can book any one of our excellent Grand Baie hotels up until midnight and stay the same night.